Services for Real Estate Pros with Tann Starr & Associates, Inc.
Yup. Still sleeping with my electronics and blogging in my pajamas while on vacation in Texas (happy sigh). Cooked up a new project with a fun social media peep. We have Book Club Blues Vol 02 almost completed so I'm diving right in to Book Club Blues Vol 03 by devoting the entire album to my gal pal author Lynn Rush. Yall remember my social media gal pal Lynn, right? 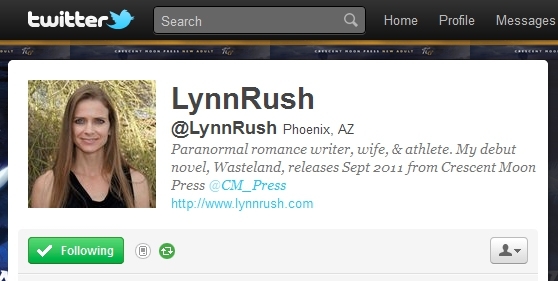 Here's her Amazon bio: "Lynn Rush began her writing career in 2008. She has both an undergraduate and graduate degree in the mental health field and has enjoyed applying that unique knowledge to developing unique characters. A former inline speed skater and mountain biker, Lynn has been known to test the limits of her athletic endurance. So, when she's not writing, she spends time enjoying the Arizona sunshine by road biking nearly 100 miles per week with her husband of fourteen years and going on jogs with her loveable Shetland Sheep dogs." I happen to love her Wasteland characters and am thrilled the series will continue (plus Lynn has created a new series). Yesterday, I went with Melody Botting on a hike by the lake for a photo shoot and managed to get an album cover out of the session. 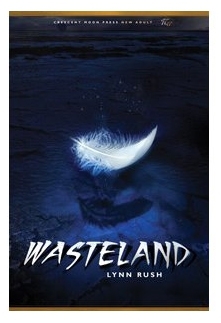 The pictures made me think about Lynn's book Wasteland and by the time I got back with Melodious I realized I wanted to create an album for Lynn instead of another author tribute track. Of course I had to tease her about this in Twitter. We're digital triplets with Kendall Grey plus there's the "nanotramps" issue (LOL) so there's lots of banter and NaNoWriMo conversations going on over in Twitter (evil little grin). © Carolyn Tann-Starr, 2008-2015. Unauthorized use and/or duplication of this material without express and written permission from the re-blog authors (when appropriate)and Carolyn Tann-Starr is strictly prohibited. Excerpts and links may be used, provided that full and clear credit is given to Carolyn Tann-Starr, (the re-blog authors when appropriate) and Wordy C's Blog with appropriate and specific direction to the original content. She sounds like a great friend and they can be rare in one's life. Have fun. Hey, CT!!!! Thanks for much for the shout out!!! Super excited for the chat tonight and the fun music you're cooking up! Woot!!! Find FL real estate agents and Palm Bay real estate on ActiveRain.